The good news is that detail and fit are generally excellent. Assembly is somewhat more complicated than I expected, especially around the cockpit and engine nacelles. For more detail on the kit contents, you may view the FirstLook review posted elsewhere on HyperScale. However, by far the biggest hurdle has been the instructions, which contain a number of errors and omissions in some very important areas. I have listed the errors and omissions that I have found to date. 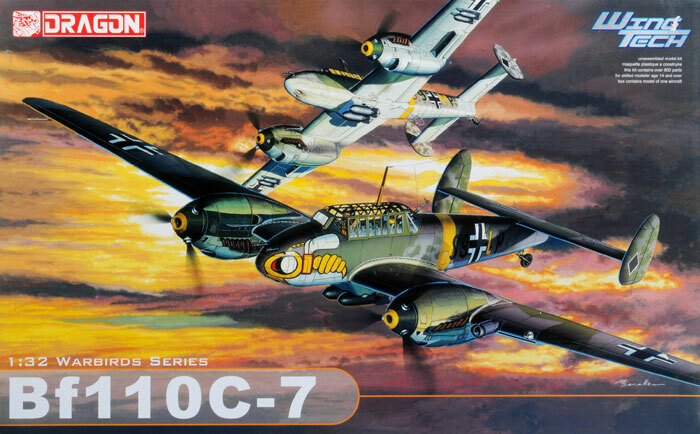 If you are planning to build Dragon’s excellent 1/32 scale Bf 110 C, you might like to print this list to supplement the instructions. Part D20 is a rack for an extra MG/FF ammunition drum. It should not be installed on part E19 as illustrated. Also there is a second part D20 not mentioned in the instructions. 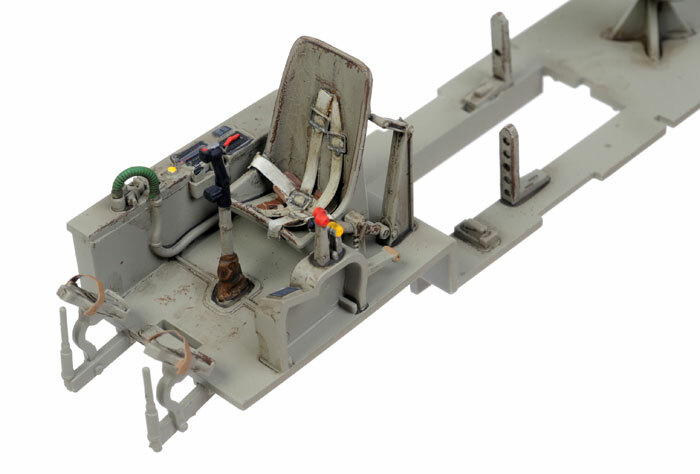 These two "L" shaped racks should be installed on the mid cockpit floor (part E14) on either side of the opening for the MG/FF mounting tray (see photo below for their location and orientation). Two extra ammo drums (each made up from parts D55 and D58) should be installed in the racks. This is not mentioned in the instructions.